I just wanted to comment on the live stream happening at the moment (as I write & post this). If you wanna watch it, you can currently find it on the PAPA YouTube channel. In my opinion, and please give your opinions too, but I feel like PAPA have really upped their streaming game! The telestrator is probably my absolute favourite thing that has been added into the stream. It is really cool that the commentators can draw the arrows to what the players need to get, as this not only helps me understand, but it will be beneficial to the pinball outsiders watching the stream (or rewatching it in the future). It was perfect but hilarious when Steve Bowden was drawing the scores on the screen for one of the games when the camera (maybe) wasn't working. The commentary feels fresh and informative and it's super fun. Another cool thing that they have done is where they cutaway to the interviews with Jeff (from the Pinball Profile podcast). It just adds something to the stream and makes it even more entertaining. I am not sure who has been commentating (other than Steve) but they're really good. They are all definitely in the know with all of the games. Well done for the awesome stream, guys! Keep it up! The video quality video is not as good as the regular twitch streams and the stage / camera shake is off putting BUT I understand getting this setup isn't easy. The commentating from Steve and Bowen is great and the replays are awesome. I am really enjoying watching. so why the switch from twitch to youtube? Yeah I do agree that camera shake is a bit annoying. When I started watching I was like, "oh the tilt bobs must be super loose!" At least the commentators acknowledge it, though. Just an amazing improvement from the previous stream a few months ago. Looks great on the big TV in the living room and the commentators are doing great. A pleasure to watch, shaky cameras and all. How about the double tilt on Robocop? Just an amazing ending to the round. I was just going to make this thread too! I complained a tad about the world finals after the Kotaku news post. However the addition of the commentating team, the replays, the HD broadcast (encoder settings correct finally), the interviews before rounds, and award ceremony really made this stream shine. I think this is probably way up there with the best PAPA broadcasts ever. It's so incredibly important for a good stream or else you won't learn from better players and it's such an incredible championship that it requires a fantastic stream. Really superb job I can't overstate this enough! I was just sorry you weren't there kicking their asses, Danni. I'll be there next year (maybe...) to do just that, but exams and school must come first. had a blast watching a local player win!!! I thought it was an awesome step in the right direction. The introduction of the Telestrator to show the rules and objectives briefly for each game was great. 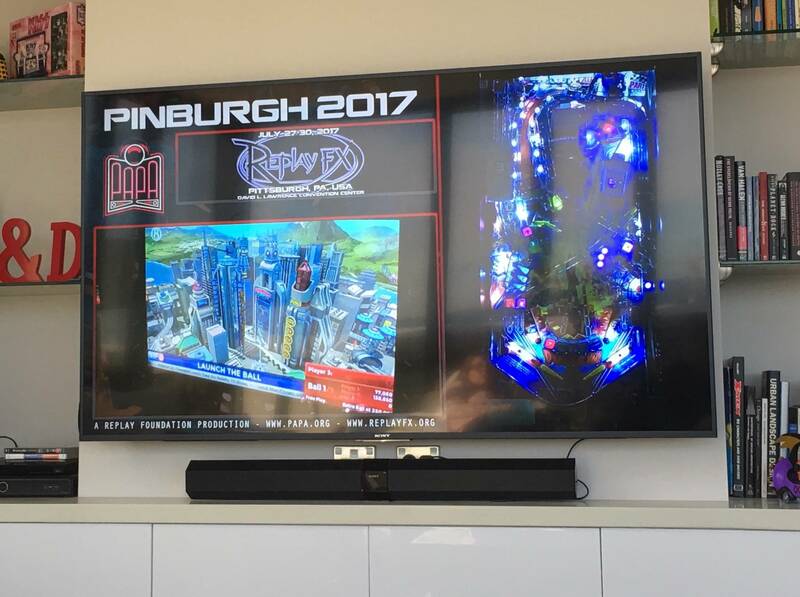 That's a must-do if pinball wants to hit the mainstream. Average punters don't know the objectives of pinball games. We had 2 "non pinballers" here during the finals, and between the coverage and me explaining things, they got really hooked on it and were cheering the plays! One thing that was missing was the players name somewhere on the screen, ALA the Never Drains streaming software. I looked for the stream on twitch a few times yesterday and never found it. Would have been nice to have some announcement made or something. Oh well, I mainly wanted to watch Eric and Sebastian and both went out early in the finals.